Launched in 2016, Grand Consulting is incredibly proud to be the first registered Information Technology Apprenticeship Program in the state of Iowa. Our program provides motivated individuals with a hands-on training experience that allows them to gain qualifications while they work. Apprentices get the unique opportunity to learn on the job, and in the classroom, while being mentored by one of our experienced employees. An apprenticeship is a time-honored approach to training skilled workers through a combination of on-the job training and classroom instruction. It has been proven that organized apprenticeship programs provide a practical and sound method of preparing workers for employment in skilled occupations. 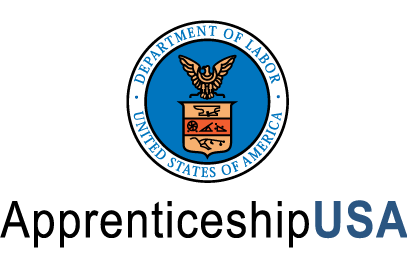 We’ve worked with the Technology Association of Iowa to develop a set of standards and requirements that have been approved by the U.S. Department of Labor, Office of Apprenticeship. The apprenticeship program consists of three levels of competency. This means in order to move onto the next level, the apprentice must demonstrate their ability to perform certain skills or tasks. They will be coached one-on-one by an experienced Grand Consulting employee. Once an apprentice masters the skills outlined in each level, they will receive a pay raise. At the end of the program, apprentices earn a certificate of completion issued by the U.S. Department of Labor. * Because levels are based on competency, this is the approximate amount of time recommended to complete the needed requirements. Time may vary based on demonstration of skill. We want to provide an alternative pathway to building a career in technology. We believe an apprenticeship is one of the most effective ways of doing this. Our goal is to successfully establish the apprenticeship model within our own company so other businesses feel comfortable adopting this methodology and, in turn, build their own apprenticeship programs in our state. By providing on-the-job training and education, we are creating more opportunities within our community and our industry. By training someone ourselves, our clients will continue to receive the excellent service they've come to expect.